Terry Glavin: Afghanistan: 'Third Way' Imperialism Or Cooperative Federalism? Afghanistan: 'Third Way' Imperialism Or Cooperative Federalism? The one agreement that binds everyone who knows anything about Afghanistan with almost all Afghans is that the country's current cobbled-together constitutional arrangement cannot last. The ridiculous electoral system, the structural restraints on political parties, the absence of any significant constitutional jurisdiction vested in the provincial governments, the near-total power afforded the presidential palace - it's a recipe for state failure. On its current course, the United States will make that failure almost a certainty. Earlier this year in Kabul, the problem was succinctly described to me by Niamatullah Ibrahimi, research officer with the Crisis States Research Center: “With these latest talks about negotiating with the Taliban, ethnicity is now the most divisive issue in Afghanistan.” This is because Talibanism is an ethnic, specifically Pashtun, phenomenon. It preys most ruthlessly on the Pashtun people. It thrives on Pashtun illiteracy and poverty. It's driven by Pashtun chauvinism, not by "Islam." The Euro-American preoccupation with an "exit strategy" is the cause of ever-diminishing Afghan expectations in a downward spiral that is saddling everyone with the anticipation of an inevitable accomodation with Talibanism. The result is that the best anyone's left to hope for is some method of containing the Taliban contagion. Accelerating the downward spiral among Pashtuns is the persistent (and growing) attraction of Robert Blackwill's formula: "Accepting a de facto partition of Afghanistan makes sense only if the other options available are worse. They are." There comes a point where it doesn't even matter if that's true. It's what people think and expect - or more specifically, what Afghans are allowed to expect - that ends up counting. Give Afghans to believe that their fate is sealed and they'll act that way. This is how cynicism becomes prophetic, and how prophecy fulfills itself. All the more frustrating is the way NATO's European contributors to the UN's Afghanistan project whine about America's capacity to set the course, without coming up with viable alternatives. Especially frustrating for Afghans is the way Canada just sits back and lets events unfold. Keeping in mind that it should be Afghans who make these decisions - and recognizing that Afghans will need the rest of us to provide the space and the means to make those decisions democratically - there are ways forward less draconian than partition. One is ultra-federalism, but that's just one option Afghans could consider in collaboration with their democratic partners in NATO. There are any number of ways out of this without repeating the British imperial legacy in India. Besides, partition in the form of the Durand line that carved the Pashtun universe in half, leaving one side in Afghanistan and the other in Pakistan, is the key "root cause" issue underlying Afghanistan's agonies in the first place. There are any number of federalist solutions and Canada just happens to be a pioneer in these post-colonial remedies, being a post-colonial federalist state itself. 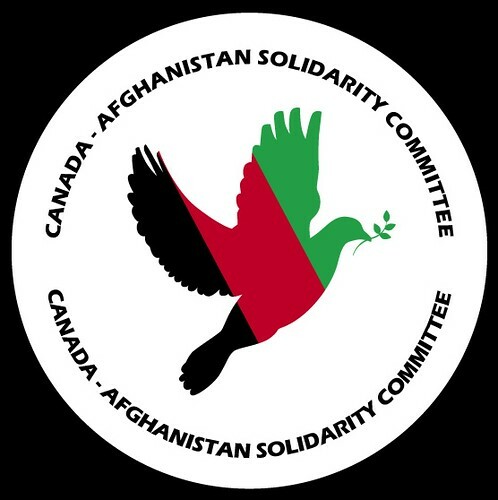 Canada also pioneered the Forum of the Federations, which examined the prospects for federalism in Afghanistan early on. These deliberations need to be dusted off and looked at again. Bob Rae, the Liberal Party's Foreign Affairs critic, is a voice in the intellectual wilderness where these discussions are usually relegated. In Afghanistan, federalism is actually not the "F' word, but this almost right: "Religious chauvinism, ethnic tribalism, grievances and grudges all conspire against the intrinsic power-sharing formula that is federalism, where local and central sovereignty are cooperative and coequal." Where it's wrong is that the presumption derives from Pashtun-chauvinist currents, which do not run so deep among ordinary Pashtuns, and barely apply at all among the 60 per cent of Afghans who are not Pashtun and among whom the notion of some sort of federated Afghanistan is a happy idea. But mostly, chauvinism and "tribalism" in the Afghan context are reactionary forces that also tend to cause people to conspire in favour of federalism. There are risks along with rewards that come with democracy. It's still a very good idea. Rights & Democracy: Just Shut It Down. More Fairytales From Senator Colin Kenny.